And if you want a wolf mainly for the coloring, I'd invest in an agouti husky. They look the same! I'm curious: what characteristics does a wolf hybrid have that distinguish it so much from a husky? I'm trying to understand what the rationalization behind breeding hybrids is. Huskies are independent, prey-driven creatures and in my mind are about as "wolf-like" as a dog is going to get without taking the risk of being a wolf or a wolf-mix. While I don't think I'm ever going to change my mind about breeding hybrids as being unnecessary and dangerous, I'm open enough to want to learn more as to why people believe it's okay to breed them. I wish Kevin, owner of wolf hybrid Beowulf, from the other forum was here. He could give another side to the wolf hybrid ownership. He's got young kids, a Sibe, a GSD, and a wolf hybrid and he could share what a big responsibility a wolf hybrid is, moreso than a dog, and shared in the past how different they are from dogs and what a learning experience it was for him. I'll admit there was a time before I knew about wolf hybrids that I thought I might want one. Until I did my research and talked to other wolf hybrid owners. The risk and unpredictability with the true hybrids are a huge deal and not something for anyone to take lightly, especially people who have never dealt with true hybrids. Not to mention that I've yet to see any reasonable explanation for a purpose behind breeding hybrids, especially considering what wild cards they can be. And just as a side note to explain my "true hybrid" comment, the majority of people I've seen that claim to have or have met a wolf hybrid really don't or haven't. The majority of people have been either misinformed or deceived into thinking their wolfish lookalike is a hybrid when it's really some other dog mix. Like the "wolf/mal mix" at the top of this page, doesn't look the slightest bit like it could be a wolf hybrid to me. With mine, having them isn't to say "I have a hybrid, look at me!" or anything like that. We found Zephyr at a flea market. The woman who bred was quitting and she was trying to find homes for the last litter. We both loved huskies so we got her. We had done zero research and had no clue what we were really getting. For me, I just love them. I love how they act. I love that they aren't like most dogs. I've never had a pure bred husky. We were supposed to get one last year and the woman sold him the weekend we went to go get him (we were so heart broken). Honestly, we had never intended to own a hybrid. We wanted huskies and malamutes (more so mals but we could never afford one). I just believe that the same argument could be made toward any breed. Some people have good experiences with them, and some don't. According to a book I read, wolves did not evolve to understand human body language, where dogs are bred to. When you mix the two, you can create a hybrid that has a hard time understanding its care-takers and that's part of the reason they tend to be uncomfortable with people. Why breed this? To clarrify itwas told it was a timber wolf / mal mix if that makes a difference. Idk if its true or not. But however i should have gotten a picture of his teeth. Big and long. And his growl / howl was blood curdling deep! I can say out of the mals ive ever seen, they never compaired to this dogs size. Timberwolves are generally just as big as a regular malamute. That dog is most definitely crossed with a Giant Malamute which is a fake, designer breed. People breed malamutes to be in excess of 150-200 lbs. That is not only unhealthy for the animal, it's downright irresponsible. It shortens a Malamute's lifespan from 12+ years to about 5. Wolves are generally the same size as regular dogs. HEIGHT: 26 - 33 inches. Reputable breeders only breed to show or work their dogs. IE- they are a strong and conformed example of the breed. Their existence should be to better the breed (add good examples/offspring to the world) and they would ONLY be bred to produce another dog to show or work. Wolves and mixes do not conform to that standard. A wolf's purpose is to be wild. They are not domestic. You can't RESPONSIBLY breed a hybrid because it doesn't exist. By the sheer nature of it being a hybrid, it doesn't adhere to that standard of being bred to be worked or shown, to be a better example of the breed. A hybrid isn't a breed. And I'm still curious what about a hybrid's personality is unique? 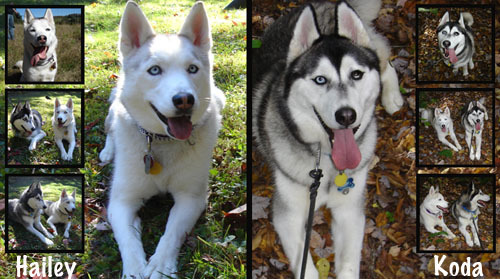 All the desirable traits of a hybrid are traits that are naturally found in the husky or malamute. CAN weigh. Timberworlves are long, tall and lanky. Their faces aren't as huge and bearlike as that dog. THAT is a typical Giant Malamute trait. The reason wolves CAN weigh so much is their height.... weight, not so much. They are similar in size to a great dane or mastiff. I wasn't disagreeing O.o just making a statement since you didn't clarify really - you just said "regular dog" which by any one persons standard could be different. Going off of that one could assume they're as small as a Siberian and every Siberian is then a wolf (?). I dunno was just something I thought would be for better clarification. I used to spend a lot of time years ago volunteering at a preserve and giving speeches about their arctic wolves lol. Sorry. Just trying to help out the best I can! I suppose people have a romantic idea of wanting something that has a bit of wild in it, and don't think it through that 'wild' doesn't belong in their house. And then they like the idea of having such a beautiful animal too (although a siberian husky or a malamute is just as beautiful). I don't see a reason to breed wolf-dogs when so many are abandoned by their owners. I can understand someone wanting to adopt a rescue wolf-dog because after all it's a creature in need of a home, and if it's an adult then you have some idea of it's temperament. But you have to know what you are getting into. There was a nice story a few days ago about veterans helping to rehabilitate rescued wolf-dogs, here. There were a couple of things about wolves and dogs that I found interesting in John Bradshaw's book which is called Dog Sense in north america ("In Defence of Dogs" elsewhere). One is that although dogs are descended from wolves, the kind of wolf around now is probably not the kind of wolf from which they descended; because wolves have been hunted so much, only the ones that are most fearful of people have survived. The other is that as far as he knows, the north american gray wolf is the only wolf from which dogs did not evolve, i.e. they evolved from other types of wolf in other parts of the world. That means that the wolf part of wolf-dogs here is not necessarily as friendly as the actual wolves that ultimately evolved into dogs. Anyway I found that interesting. This thread made me do some research on hybrid rescue and this seems like a great group! These dog's are absolutely gorgeous and such a shame people buy/breed them and just throw them away once they figure out how much of a handful they are. Also, in regards to this thread (sorry I know its a little old) but I would suggest you stay away from wolf husky pups.. I havent heard one good thing about them...but a whole lot of bad. I have heard several times that they are a puppy mill. I can see just by looking at their page that the animals are most likely not the content / percent claimed. Just stuff I have heard though, I have never talked to anyone on there... there are better places to look if you want a well bred wolfdog. Just my opinion. I have a friend who has a husky/wolf mix and he is just a sweet heart, but She had him since he was 3 weeks old, so she raised him well. I will say for the unseasoned dog owner, they are not ideal, but your's sound like sweet hearts! I think most of the misconceptions with wolf dogs is the percentage. It isn't so much that something with wolf in it can't do well in many domestic avenues, it's more that many people have next to no clue the true percentage of wolf that is in their dog. Many people say their dog is half wolf which is simply not true in most cases. If you have a dog that is truly 50% wolf you must have a wild game permit. It is illegal in most states to have a dog with that high of wolf content. Plain and simple illegal. My cousin had a high content wolf mix. He was papered and they had to have permits to have the dog as well as a special setup to insure the safety of their animals and the animals of their neighbors. While he was a lovely dog he was definitely not like a normal dog or a low content mix. I truly didn't know the content I know do know probably low-mid, but I didn't care, that's not why I got them. They were just so beautiful. I actually don't think we should be breeding wolves with anything let the wolves stay as pure as possible but in saying that I couldn't leave this babies to someone who had no clue on how to raising them. I really could have cared less about their content. I was just giving my experience with them. I believe "most" "dogs" come from bad owners. Especially with just plain huskies, people truly have no clue about the breed and then either abuse them or give them up because they didn't bother to research. Just like anything else you purchase you do research. I love this guy's pix of his dog. Don't know what the percentage is- the dog looks like a big husky to me- but he is beautiful. You can see the wolf in him, but He is GORGEOUS! Loki is a very low content husky/malamute/arctic wolf mix. He is gorgeous though! Excellent link Michael, thank you. The pics and video are awesome. I am not going to make a huge debate here. I agree with Jenn, most people are told their dog is part wolf, when in fact they are not. I believe Loki from the link Michael posted is a husky/malamute I see no wolf in him at all. I studied wolf dogs in vain when I got Miya, since she was sold to me as a husky/wolf mix, and was said to me she was minimally 50% wolf. To make matters even worse, Arctic Wolf mix is almost if not entirely untrue, and is a misnomer for the coats of northern breed dogs. The very few wolf dogs that really do exist in the lower 48 are of gray wolf/timber wolf descent. I am not here on this thread to anger anyone, in fact I get angry at the misconceptions that people have about wolf dogs. I get angry at people who have a high strung husky, mal, gsd, or some other breed, and then blame their high energy on being part wolf. Unfortunately, many rescues have mislabeled huskies as husky/wolf mix because of their coat color, or their hyperness. Sadly when people describe what a husky looks like, most people will say black and white with blue eyes. and when asked to describe a wolf, most say silver and white with blue eyes. In both instances they are describing a husky and not a wolf. Education is needed. For us general folks, but also for rescues. I had a very long chat back and forth with a wonderful woman in West Virginia, who had local clearance to take in wolf dog rescues. She kept one in particular, he was a beautiful dog, all husky. The rescue deemed him a wolf dog, because he was unusual looking, and couldn't be a husky. So they deemed him a wolf dog, and was to be put down, if she couldn't take him. By deeming any dog as a wolf dog, can place that dog in dire consequence. In California a few years back, a woman lost her husky, because he was said to be a wolf dog, and was put down. The flip side, is to have a dog that someone says is a wolf dog, and then years down the road actually get a wolf dog, and can not handle it, because, they are so different. People have huge misconceptions over the whole wolf dog persona. In fact this entire thread is filled with them as well. Erica, Norbreedslove, had the right answers. Although, I think nobody wanted to listen to her. I grew up with one. They are not the vicious animal most assume they are, most are timid of people. I guess I could go on about this, but it just bothers me, 75% of all northern breed dogs sold here in West central Texas are said to be part wolf, when they are not. By deeming a dog as wolf, just hurts everyone. Wolves are a majestic animal, and it has saddened me to no end to know they were almost extinct here, because of the misconception of the wild animal they are, yet, so many people think it is "cool" or glamorous, or special to have a wolf dog. I just do not understand the mentality of it all. Why would a society kill off a pure wolf, but as a society think it is great to have a wolf dog? It saddens me greatly. Perhaps Erica will see this, and add comment. Renee, I'm sorry if I said anything out of line it wasn't directed at anyone. So if I did offend you please accept my apology it truly was not my intention. I too told everyone they are just huskies didnt want to explain and no they are not legal where I live. My vet loved the, I now live in the middle of no where no neighbors so I don't have that issue of people walking by scared,if they only knew the worst thing they would do is lick you to death. I was giving my personal experience with owning them. I fell in love with the breed. And hoping to get another. So I was hoping to find a breeder who sells healthy wolf huskies, not from a puppy mill . I could careless about the content, I just want another baby. Merry Meet.. I still can't get photos to upload.